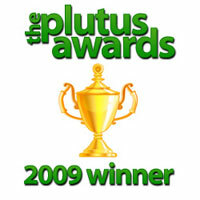 We Won 4 PLUTUS Awards! Hello my fine friends! It’s been a helluva great week here and I just wanted to thank each of you for making this site what it is :) From the Time mentions, to the Plutus Awards, you guys keep me going like no other. THANK YOU!!! But yes, you guys rocked it in your article today, well done! J. Money: Thanks for the linkage! And congratulations on the awards. Thanks for the mention J. Sorry some jerkface jacked your blog. can you beat him up for me? I’ll give you $1.00. Next post: Are You Financially Fit?